MGMT showed a lot of promise on their ridiculously frontloaded first album, Oracular Spectacular. It turned out some inescapably catchy singles but was padded out by a whole lot of filler. At first, Congratulations looked like it would be full of hairbrained twists, turns and surprises. None of them really materialized. 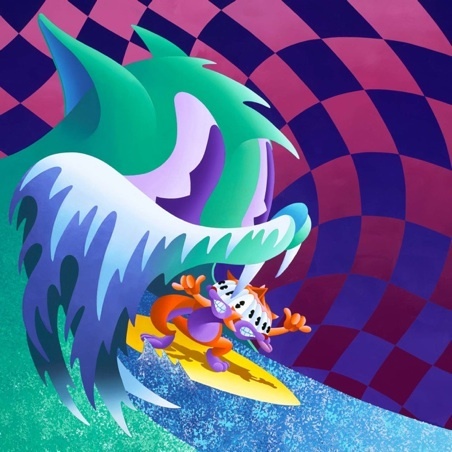 MGMT said in interviews leading up to the release of the record that they dislike their massive fan base and were trying to make a challenging record because of it. They shifted their style, but not much. Its full of psychedelic throwbacks, like they’re trying for a 2010’s Pink Floyd sound. It doesn’t work out all that well for them. There are some moments, Flash Delirium andSomeones Missing come to mind, but everything else is dull. The hyped up 12 minute centerpiece, Siberian Breaks, something thats going to get points from some people based purely off its length, is overlong and boring. The album is mediocre with none of the expected surprises. So much of their quality was derived from being obscenely catchy. They purposely abandoned that in an effort to get rid of a fan base they didn’t like for no other reason than they thought it was ruining their indie cred. The change and attempts at difficulty feel forced because of it. ~ by Andrew Baer on April 12, 2010.